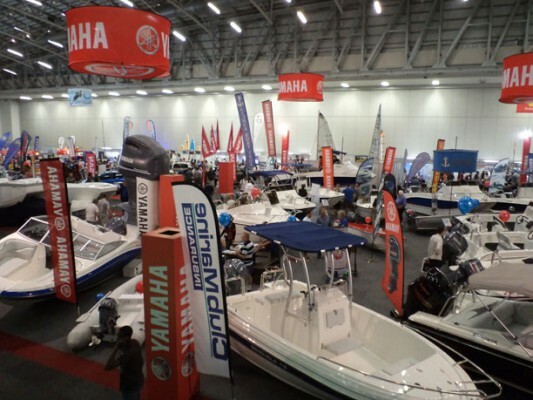 Big boats, small boats, yachts, catamarans; this was the order of the day at the Cape Town International Boat Show – a superb showcase for boating, water-sport and related industries. The show did not disappoint attendees who went out in their numbers to witness the magnificent display of vessels. The event boasted over 150 exhibitors in total and was held concurrently at the Cape Town International Convention Centre and the world renowned Victoria & Alfred Waterfront. Ticket holders had the opportunity to be millionaires for a day, throw off their shoes and hop aboard the boats on show. Since the event offered no charge for children and scholars accompanied by an adults, it was made very affordable and a great outing for the entire family. The show was an ideal platform for individuals in the market to purchase a boat, or for those merely interested in browsing and experiencing how the rich and famous live. There were boats fetching over R200 million on display, and a multitude of designs and luxuriously appointed beauties to choose from. “The event offers everything to do with boating and Cape Town always offers a practical experience for revellers” said Liesl Nel, Sales and Marketing Manager from The Moorings. Amongst the exhibitors at the show, Boating World brought two new boats never seen at a South African boat show before, the 2012 Fairline Squadron 42 and the Riviera 43 Offshore Express with IPS drives. Host Cape Town had locally made products of its own in the form of Leopard Catamarans, built in South Africa and transported globally. 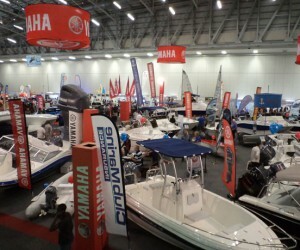 The Cape Town International Boat Show did not only feature national boating providers but also included international exhibitors as well.